Civil engineers play an important role in infrastructure development. In a hazard-prone country like the Philippines, the resilience of critical infrastructures must be assessed and increased to assure their continuous operation. 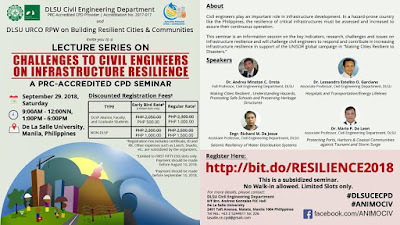 This seminar is an information session on the key indicators, research, challenges and issues on infrastructure resilience and will challenge civil engineers to respond and contribute in increasing infrastructure resilience in support of the UNISDR global campaign in “Making Cities Resilient to Disasters". 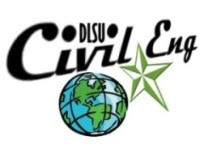 DLSU CE Department is an accredited PRC Provider for Civil Engineering (Accreditation No. 2017-17). 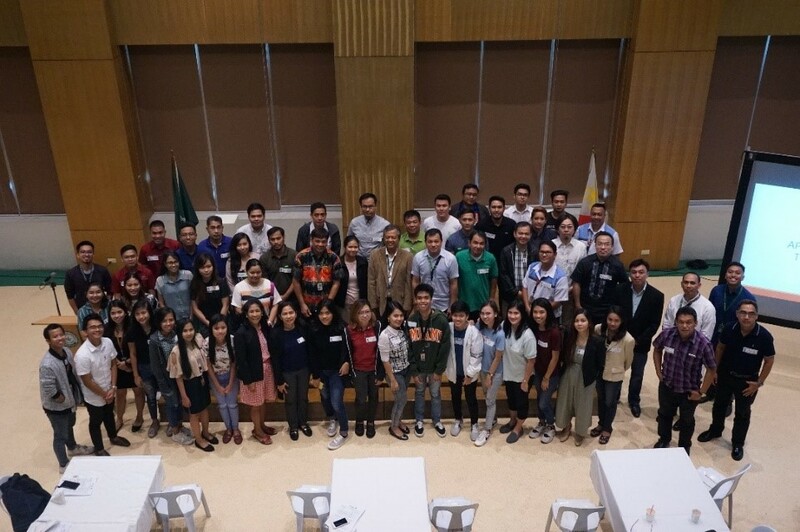 Most of the participants were DLSU CE Alumni. 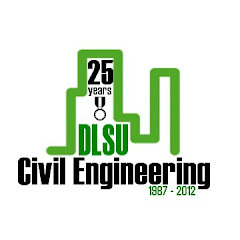 DLSU Civil Engineering Dept. 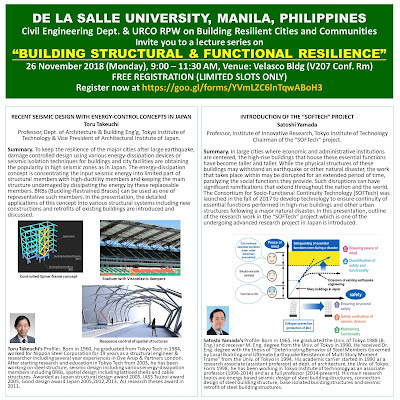 & URCO RPW on Building Resilient Cities and Communities hosted a Lecture Series on “BUILDING STRUCTURAL & FUNCTIONAL RESILIENCE” last 26 November 2018 (Monday), 9:00 – 11:30 AM at the Velasco Hall (V207 Conf. Rm). RECENT SEISMIC DESIGN WITH ENERGY-CONTROL CONCEPTS IN JAPAN - Toru Takeuchi, Professor, Dept. of Architecture & Building Eng’g, Tokyo Institute of Technology & Vice President of Architectural Institute of Japan. INTRODUCTION OF THE “SOFTECH” PROJECT - Satoshi Yamada, Professor, Institute of Innovative Research, Tokyo Institute of Technology Chairman of the “SOFTech” project. The program was emceed by Vice-chair, Dr. Maria De Leon and Engr. Richard De Jesus opened the program with a prayer. Prof. Lessandro Garciano, CE Dept. chair gave a welcome message while Prof. Andres Oreta presented an introduction about the initiatives of DLSU CE Department on Resilience Building and an overview on Infrastructure Resilience. Then, the two lectures were presented followed by an open forum facilitated by Prof. Bernard Lejano. Dr. Jason Ongpeng, president of the Association of Tokyo Tech Alumni & Research Scholars (ATTARS) gave the closing message. 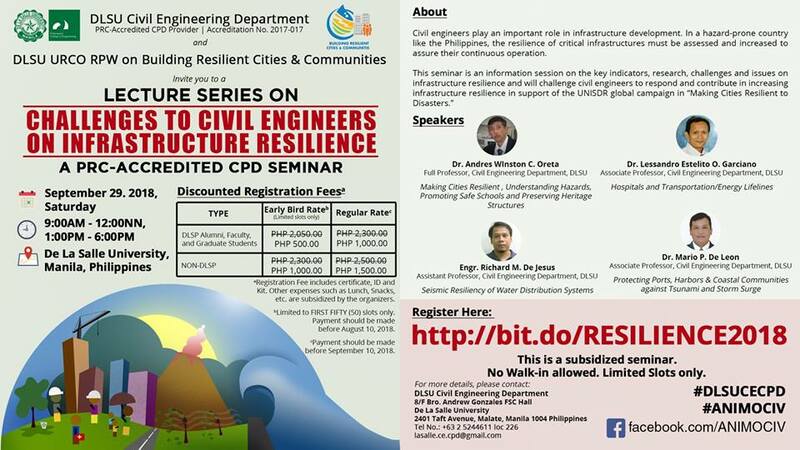 The lecture was attended by DLSU faculty, graduate students and structural engineers from ASEP and UPD. 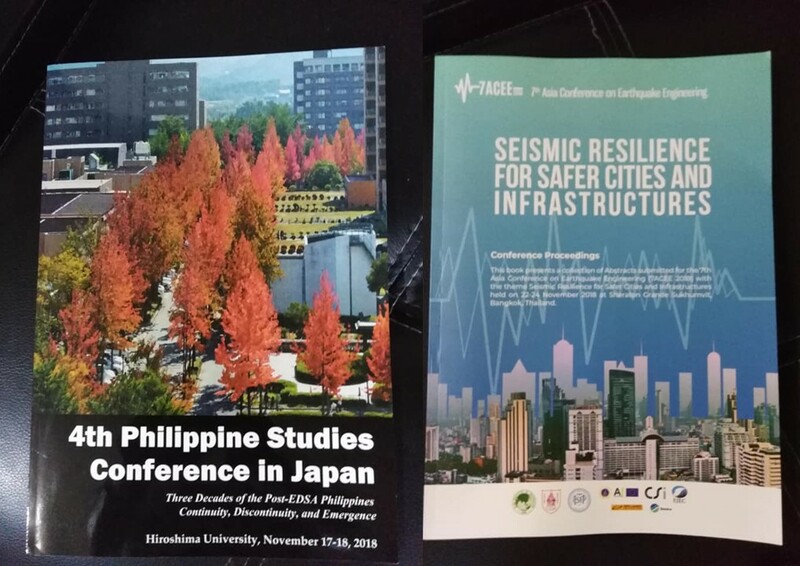 Dr. Andres Winston C. Oreta, professor in civil engineering at DLSU presented papers at the 4th Philippine Studies Conference in Japan (PSCJ-2018) held on Nov. 17-18, 2018 at Hiroshima University, Japan and at the 7th Asia Conference on Earthquake Engineering (7ACEE) held on Nov. 22-24, 2018 at Bangkok, Thailand. 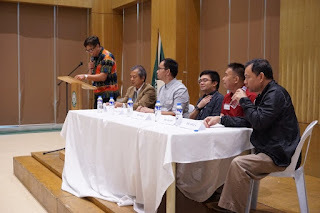 The 4th Philippine Studies Conference in Japan (PSCJ) with the theme, "Three Decades of the Post-EDSA Philippines: Continuity, Discontinuity and Emergence" highlights panel and individual presentations on broad range of topics from academics, practitioners and students doing research about the Philippines. In the session on Disaster, Resilience and Governance, Dr. Oreta presented a paper with his co-author, Ms. Anjela Mae Era, graduate student at DLSU School of Economics and a senior project officer of the Local Government Academy, Department of Interior and Local Government on "Identifying the strengthening interventions for resilience building: an assessment of selected Philippine local government units through the "Making Cities Resilient" global campaign." 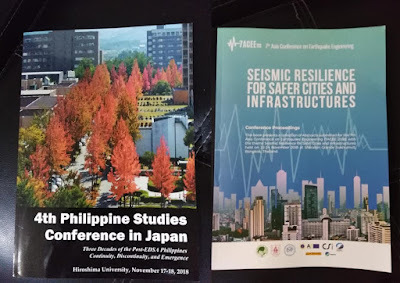 PSCJ is held every four years in Japan and is organized by the International Council for Philippine Studies Conference (ICOPHIL). The 7th Asia Conference on Earthquake Engineering held at Sheraton Grande Sukhumvit, Bangkok, Thailand with the theme on "Seismic Resilience for Safer Cities and Infrastructures" was organized by the Asian Institute of Technology and Chulalongkorn University in cooperation with the founding organization of the ACEE, the Association of Structural Engineers of the Philippines, Inc. (ASEP). Dr. Oreta presented the paper co-authored with Engr. Adrian Dy (BSMS graduate of DLSU) on "Perfromance of RC Buildings with Vertical Setback Irregularity using Push-Over Analysis." 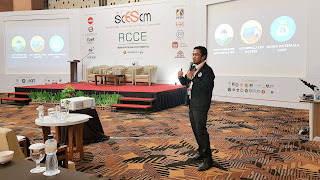 Dr. Oreta, a member of the 7ACEE International Scientific Committee, also served as session chair in one of the parallel sessions on Performance-Based Seismic Design and Evaluation of Structures. 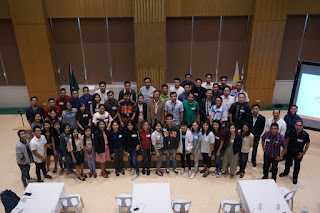 On November 19, 2018, the Transportation Engineering Division of the Civil Engineering Department in cooperation with the Transportation Science Society of the Philippines (TSSP) held a seminar entitled, Big Data Analytics and Applications & Intelligent Transport Systems at 20F Multipurpose Hall of Br. Andrew Gonzales Hall of De La Salle University. 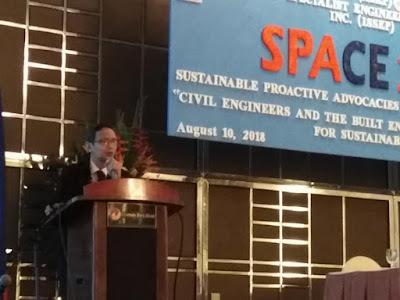 Dr. Mario de Leon, OIC Chair of the Civil Engineering Department welcomed the participants while Ms. Rachel Habana provided the opening remarks in lieu of Engr. Raul Salubarse, OIC Director, DOST-PCIEERD. Around 100 participants including students, transportation academics and experts attended the seminar. The seminar highlighted various researches on different ways to address the current traffic congestion problems especially in Metro Manila. There were a total of 18 presentations including a presentation of Dr. Alexis Fillone on Big Data Analytics and Applications for Metro Manila. It featured presentations and a panel discussion with transportation experts: Dr. Alexis Fillone, Engr. Alben Bagabaldo, Mr. Jordan Beja, Felipe Ramo and Dr. Ricardo Sigua where they answered questions from the participants regarding their concerns on different issues in transportation. 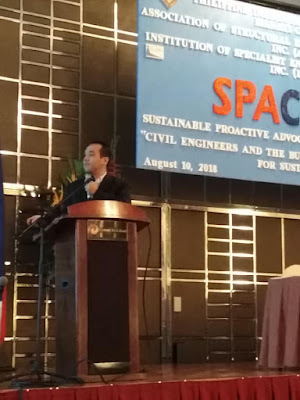 The presentations were divided into two sessions which included specific studies on current traffic situations in the country such as the Traffic Impact Study and Conceptual Engineering Design for the Improvement of NLEX San Fernando Interchange and the Modelling of EDSA as a High Occupancy Vehicle (HOV) Corridor. Software such as those developed by PTV (Vistro, Vissim, Visum, etc. ), DYNAMEQ, and LocalSim which are used for traffic modelling were also introduced to the participants during the seminar. All studies and papers presented during the event gave the participants a better perspective on the different ways in which we can tackle the current problems in transportation that we are experiencing in our country. This also presents a bright future for the transportation industry headed by experts and professionals as well as students that all participated in this event. The seminar was hosted by Dr. Marlon Era of the Behavioral Science Department while Dr. Nicanor Roxas Jr. and Dr. Maria Cecilia Paringit were the session chairs during the presentations. Bangkok, Thailand—Engr. Gallardo and Engr. 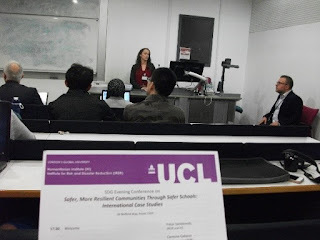 Galupino presented their paper (co-authored with Engr. Kenneth Jae Elevado) “Microscopic Assessment of Concrete Mixed with Waste Ceramics and Fly Ash” in the recent The 3rd International Symposium on Concrete and Structures for Next Generation last September 7-8, 2018. 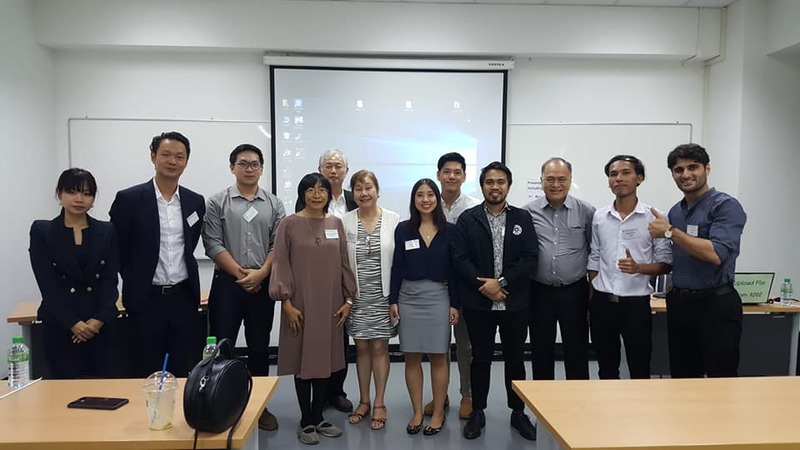 The conference was hosted by Department of Civil Engineering of Kasetsart University together with Tokyo Institute of Technology and the Thailand Concrete Association. The main purpose of this Symposium is to provide concrete engineers and researchers to develop and enhance their international skills together with the opportunity to exchange their most innovative research and engineering results. Yogyakarta, Indonesia—Engr. Galupino presented his paper “Horizontal Permeability Modelling of Cut-Off Wall using K-Nearest Neighbor” (co-authored with his adviser, Dr. Jonathan Dungca) in the recent AUN/SEED-Net Regional Conference in Civil Engineering (RCCE) 2018 last September 5-6, 2018. 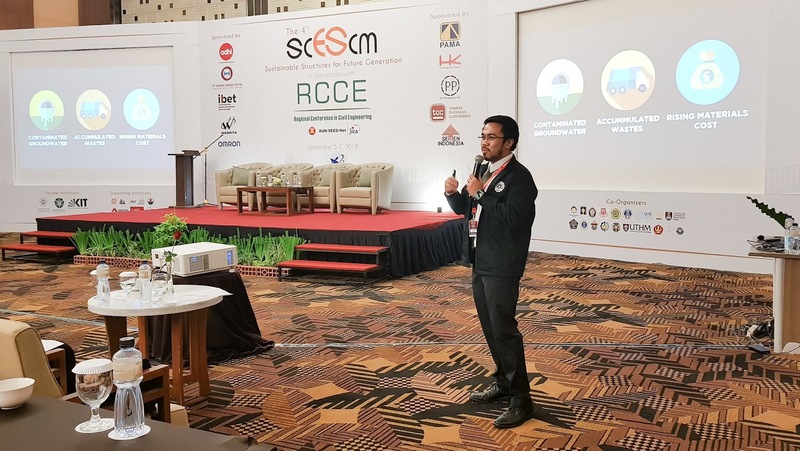 The Department of Civil and Environmental Engineering, Universitas Gadjah Mada hosted the said conference and it is in conjunction with The 4th International Conference on Sustainable Civil Engineering Structures and Construction Materials (SCESCM). The Conference is part of the continuing series of regional conference to provide a forum to collect and disseminate the most updated technology and the research of regional issues and public interests in the field of civil and environmental engineering in order to contribute to the community and to draw support from the industrial and the governmental sectors. 1. Truck lane Modelling and Simulation along a Major Corridor in Metro Manila by Dr. Alexis M. Fillone, Engr. Riches Bacero and Engr. Kervin Lucas. A total of 59 papers and 29 oral presentations were presented during the 1st day of the VREF Conference. On the 2nd and 3rd days of the conference, 3 plenary sessions and breakout sessions were held. On the 2nd day, the plenary sessions discussed about Setting the scene- The challenges of urban freight, architecture, property development and land-use: The links to urban freight and logistics, Scope for innovation in urban deliveries- recent initiative. Breakout sessions include: ports and the city, New development relating to food and the city, dissemination, education and capacity building for urban freight and logistics, autonomous vehicles and urban freight, innovative city logistics game. On the 3rd day, three more plenary sessions and breakout sessions were conducted. The talks were about Urban freight around the world - sharing ideas and understanding initiatives, Understanding urban space and flows in relation to freight transport, and Looking ahead 2035. Breakout sessions include topics such as Vital nodes: The role of cities as nodes - findings and discussions from EU project, Developments in urban freight modelling, The impacts of e-commerce for the logistics landscape in general, and Urban distribution. We were able to get involve in the discussion during these two-day break out sessions. The conference was attended by transport experts, academicians, as well as public and private sector participants involved in freight logistics from all over the world. 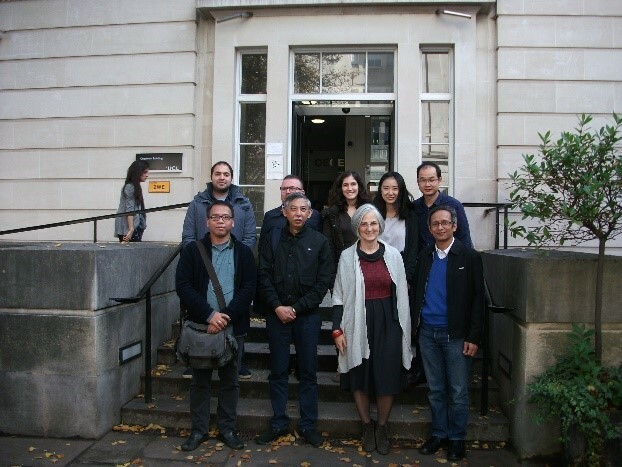 PRISMH (Philippine Resilience of Schools to Multi Hazard) had its 3rd meeting at University College London (UCL) in London last October 16 to 19, 2018. 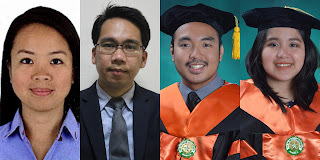 Dr. Garciano, Dr. Oreta, and Engr. 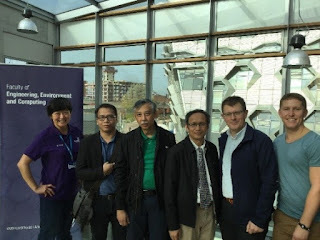 De Jesus, from De La Salle University (Manila) met up with research partners from UCL comprised of Dr. Dina D’Ayala, Dr. Carmine Galasso, Dr. Arash Nassirpour, Dr. Joanna Walker and Dr. Alexandra Tsioulou. They talked about the accomplishment of the PRISMH research project for the past year and a half and also discussed the yet-to-be accomplished tasks for the remaining 6 months for this 2-year research collaboration between UCL, DLSU (Manila) and Xavier University (CDO). As part of research activity and transmitting the outputs to stakeholders, a conference on Case Studies on World Safe School Practices was organized by PRISMH led by UCL team. Dr Garciano shared local practices and activities conducted in the Philippines to promote safe schools and make schools resilient to disasters. Other presentors were Laisa Daza from World Bank Group (USA), Prof Stefano Grimaz from UNESCO/University of Udine, and Dr. Ella Meiliandia from Tsunami and Disaster Mitigation Research Center in Indonesia. 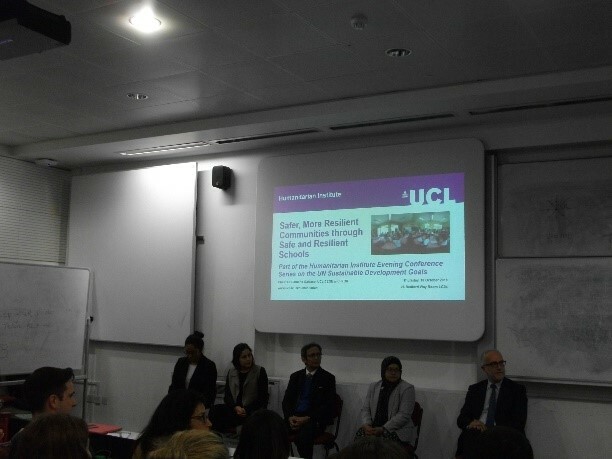 A masterclass on Safer, More Resilient Schools through Safe and Resilient Schools, was also held as part of sharing the outputs from PRISMH to various stakeholders. 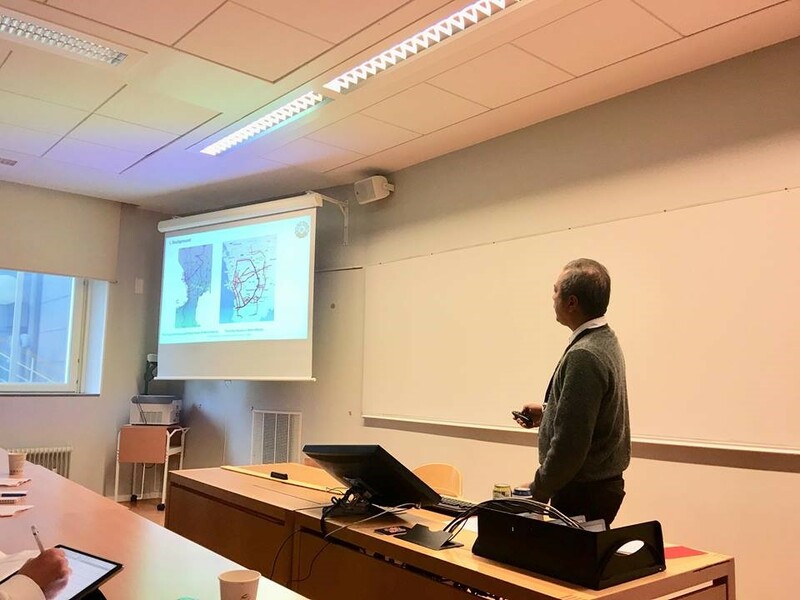 The masterclass offered lectures about the use of SCOSSO for rapid visual screening of school buildings, the development of fragility curves for selected schools in the Philippines, and the development of suitability index for schools as shelters during emergencies. PRISMH team members who presented in this masterclass were Dr. Arash Nassirpour, Dr. Carmine Galasso, Dr. Flavia De Luca, and Dr. Joanna Walker. DLSU PRISMH participants were tasked to lead several teams in conducting actual building inspection using the rapid visual screening using the SCOSSO app. 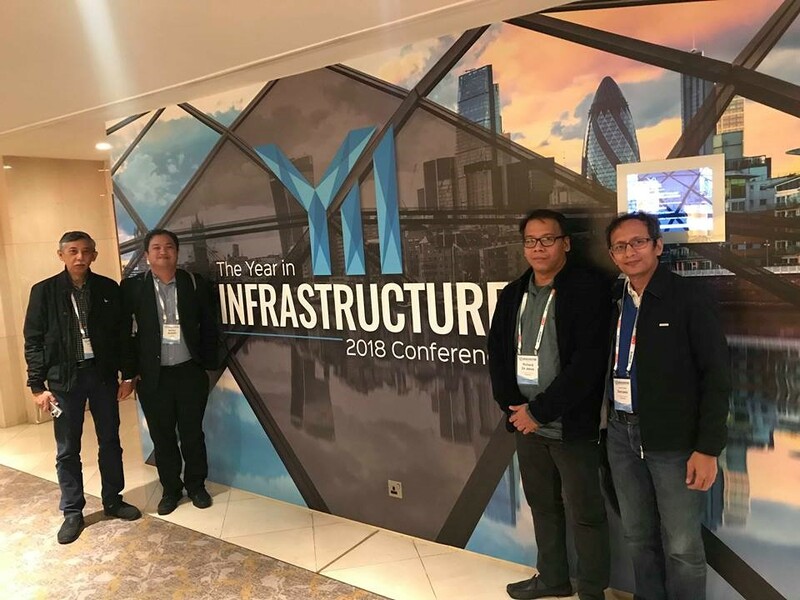 Other than participating in PRISMH activities, DLSU team took the opportunity to attend the Year in Infrastructure Conference sponsored by Bentley Systems. The conference offered various lectures about the recent trend in construction and technology using the softwares, equipments, and tools developed by Bentley group. Exhibits and discussion of projects with application of these modern tools were also presented in the conference. 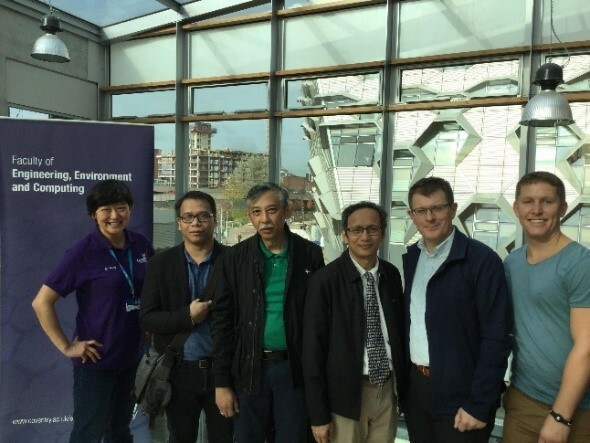 DLSU also met with Dr. Trujillo from Coventry University to discuss possible research collaboration in bamboo related studies. Dr. Trujillo gave a tour of their campus and showed their facility related to structural and material testing which can be adopted here in DLSU. A meeting was also set with Disaster Risk Reduction team from Coventry headed by Dr. Nigel Trod to exchange knowledge about DRR practices. On March 2019, PRISMH will hold its final workshop here in Manila and in Cagayan De Oro. Team from UCL, DLSU, and Xavier University will share their contribution to this collaboration. Outputs from this research collaboration will be presented to stakeholders and possible transfer of technology and knowledge. The Civil Engineering Department of De La Salle University conducted its first Master of Science in Ports and Harbors Engineering and Management (MS PHEM) rollout and promotion in Cagayan de Oro City and Misamis Oriental on May 18, 2018. This is aligned to the objectives of the MS PHEM program which are; (1) to offer an innovative program that leverages partnerships with industry and foreign universities, (2) to take the lead in providing an MS PHEM that can benefit the Philippine Ports Authority (PPA) and its allied industry personnel as a whole, (3) to enhance academic and research collaboration between DLSU and PPA and its allied industry in ports and harbors for the benefit of all stakeholders, and (4) to be the leading provider of MS PHEM program in the country and in Southeast Asia. In the morning of May 18, 2018, Dr. Alexis Fillone and Dr. Mario de Leon of DLSU CE Department visited the Philippine Ports Authority (PPA) of Cagayan de Oro City. The DLSU delegates were received by Engr. Isidro V. Butaslac, Jr., the Port Manager. The meeting with the PPA Port Manager, engineers, personnel and staff started with the presentation of Dr. Fillone on the CE graduate programs of DLSU which highlights the MS PHEM program objectives, courses, faculty profile, admission requirements and the scholarships and financial assistance available. 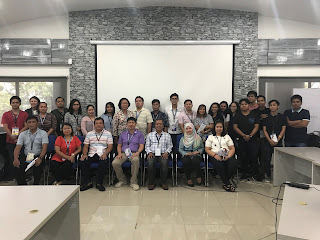 On one hand, PPA CDO also presented their challenges to climate change, the impacts and risks, and how to make the port resilient against disasters and changes of coastal environment. 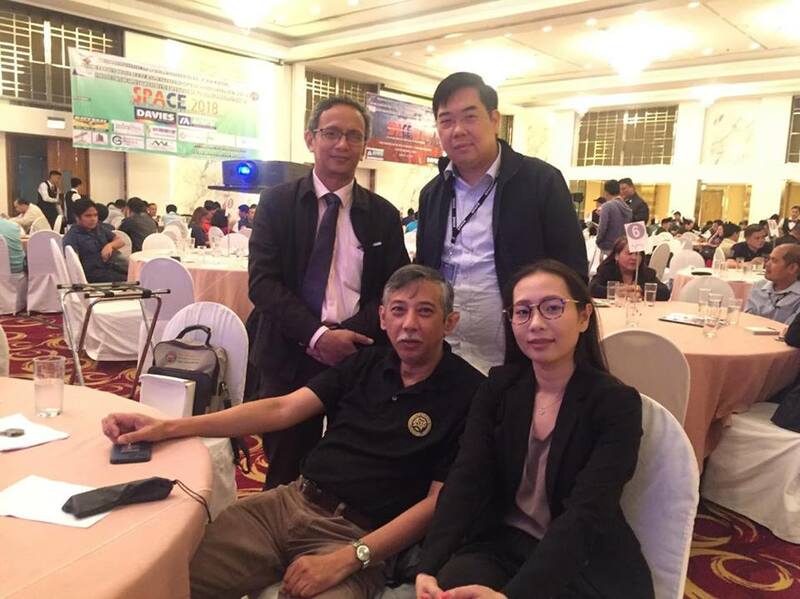 At present, PPA CDO is also engaged in Green Port programs which they also benchmark from Ports Authority of Thailand, Singapore and other Asian countries. 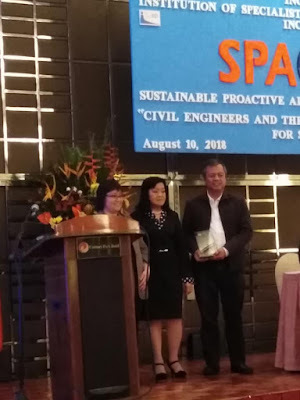 Furthermore, PPA CDO recognized and acknowledged the MS PHEM program valuable for their port industry operations and suggested the possibility of offering it as an offshore program. This will also attract other PPA field offices in Iligan, Ozamiz and neighboring areas as well as academic institutions within the region. PPA CDO office is also requesting that PPA head office in Manila will consider them as recipients and part of the financial scheme of the MS PHEM program of PPA. In the afternoon of May 18, 2018, Dr. Fillone and Dr. de Leon had an appointment with PHIVIDEC Industrial Authority (PIA) in Misamis Oriental for its MS PHEM rollout. Ms. Elvira Garcia, Manager of Port Management & Development Department, welcomed the DLSU delegates and invited also their engineers to attend the presentation of DLSU. Dr. Fillone in his presentation highlighted the courses of the MS PHEM program, admission requirements, faculty, and scholarships. PIA also expressed their interest in the program and the feasibility of offering it as an offshore program was also raised. After the presentation, a short meeting was also arranged with the Administrator and CEO of PIA, Atty. Franklin Quijano, who was also supportive of the program and proposed for the integration and enhancement of port operations and management in the program. The opportunity to meet with academe’s industry partners with PPA and PIA gave DLSU CE faculty a wider perspective on the problems encountered by those who are engage in port operations and management. Considering that the field offices are directly exposed to what are currently the state and condition of the port, the needs to improve port operations and management, this will then become the focus and study areas of graduate students for further research. With their proposal to offer the MS PHEM an offshore program in Cagayan de Oro is still to be further discussed in the CE department. Engr. Anya Catherine C. Arguelles obtained her Bachelor’s degree in Civil Engineering from the University of Santo Tomas and Master’s degree in Environmental Engineering from Korea University. She has three years of combined experience in the construction industry and has taught for a year in the Civil Engineering Department of the University of Santo Tomas. She’s been working as a civil and environmental field engineer since 2014 at Jacobs Project Philippines, Inc. (JACOBS) (formerly CH2M Hill Philippines, Inc.). She was heavily involved with a lot of Phase I and Phase II Environmental Site Assessment (ESA) projects and became involved with various environmental disposal and remediation projects. She currently continues to work as a sub-consultant of JACOBS for ongoing disposal and remediation projects that enhances her experience in soil and groundwater resource management. DR. RODOLFO "MAC" MENDOZA, JR.
Mr. Mendoza has seven years of work experience in structural engineering and consulting profession. He worked for top engineering consulting firms like AECOM Technology and Over Arup and Partners, and as the head of structural design department of Maynilad Water Services, Inc. He obtained his Doctor Engineering Degree major in Civil Engineering (Concrete Mechanics) from the Nagoya University, Japan and Master of Science in Structural Engineering from the Mapua Institute of Technology. 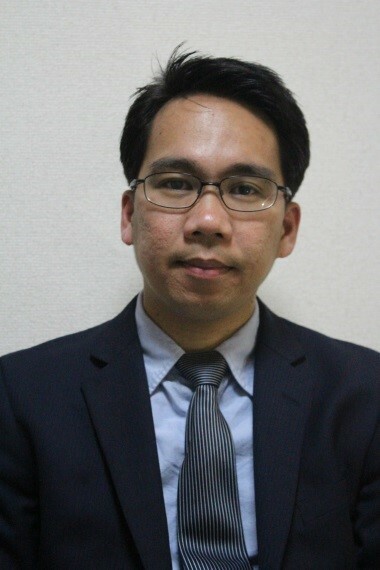 His doctoral research focused on the development of a coupled Rigid Body Spring Model (RBSM) and nonlinear shell FEM for the nonlinear analysis of concrete-steel and concrete-FRP composites. His research interests include evaluation of post-peak behavior of concrete structures, geometrically nonlinear shell FEM, and behavior of steel and FRP-confined concrete members. He was a DOST scholar and placed 2nd in the November 2008 licensure examination for civil engineers. He was also awarded as the 3rd Most Outstanding Student of the Philippines in 2007 by the Philippine Institute of Civil Engineers (PICE). He is a member of the American Society of Civil Engineers-Structural Engineering Institute (ASCE-SEI), Association of Structural Engineers of the Philippines (ASEP), Japan Society for Computational Engineering and Science (JSCES), and the Japan Concrete Institute (JCI). He will be teaching undergraduate subjects in civil engineering such as Theory of Structures and Reinforced Concrete Design, and a graduate course on Nonlinear Analysis of Structures. Dr. Krister Ian Daniel Z. Roquel belongs to the first batch of BS-MS in Civil Engineering graduates from De La Salle University, class of 2013. He worked as a Science Research Specialist and part-time Lecturer in the Civil Engineering Department of De La Salle University, before pursuing his Doctor of Philosophy Degree in Civil Engineering at the same Institution, on a scholarship under the Engineering Research and Development for Technology (ERDT) program of the Department of Science and Technology – Science Education Institute (DOST-SEI). He also went to study at the Transport Studies Unit of the School of Geography and the Environment, University of Oxford in the United Kingdom as a research exchange student. His research interests include travel demand modeling, discrete choice modeling, and transport economics. 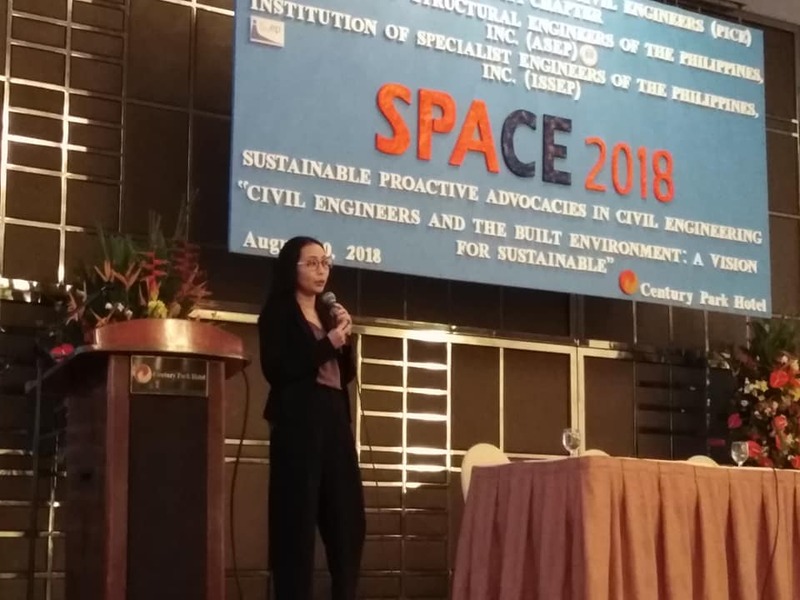 Dr. Erica Elice S. Uy graduated from De La Salle University in 2011 with a degree on Bachelor of Science in Civil Engineering with specialization in Structural Engineering. She was granted a 2-year full scholarship by AUN/SEED-Net for her Master's Degree in Civil Engineering with specialization in Geotechnical Engineering at Chulalongkorn University, Bangkok from 2012 to 2014. Through the Engineering Research and Development for Technology (ERDT) Scholarship of the Department of Science and Technology (DOST), she was able to pursue her Doctor of Philosophy Degree in Civil Engineering with specialization in Geotechnical Engineering at De La Salle University. She was also granted a Sandwich program from the ERDT Scholarship at Nagoya University, Nagoya, Japan. She is interested in soil testing, constitutive modelling and development of prototypes that apply image processing as a tool for non-contact measurement. De La Salle University presented medal awards to faculty members on Oct. 1, 2018. The faculty medal awardees are permanent faculty members who have been promoted to the above ranks (e.g. Assistant Professor to Associate Professor) as of end of A.Y. 2017-2018. 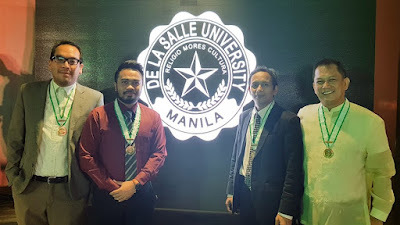 DLSU faculty - Prof. Dr. Lessandro Garciano (CE Dept Chair), Prof. Dr. Alexis Fillone, Assoc. 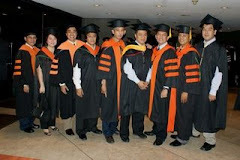 Prof. Dr. Jason Ongpeng and Assoc. 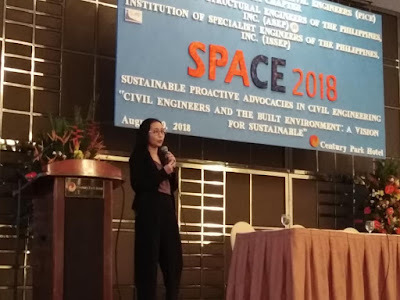 Prof. Dr. Marla Redillas were keynote speakers in the Conference on "Sustainable Proactive Advocacies in Civil Engineering" or SPACE2018 hosted by the PICE-Makati Chapter and the Association of Structural Engineers of the Philippines, Inc. (ASEP). 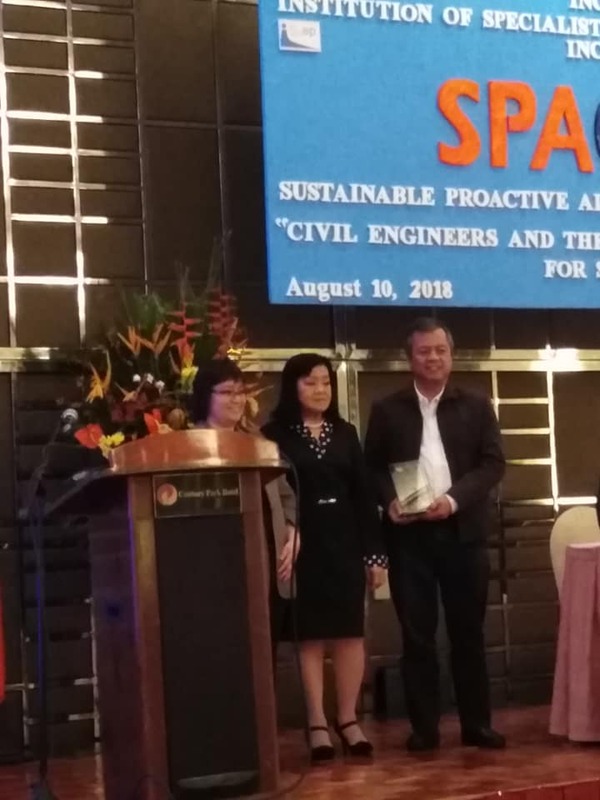 The conference with the theme of "Civil Engineers and the Buildt Environment: A Vision for Sustainable Development" was held on August 9-10, 2018 at the Century Park Hotel, Manila. DLSU delegation to TSSP: [L-R back row] Monorom Rith, Jhun Castro, Krister Roquel and Daniel Ang. [L-R front row] Sherwin Calumba, Christine Tan, Kathleen Alucilja, Dr. Alexis Fillone, Raymund Abad, Kervin Lucas, and Riches Bacero. CAGAYAN DE ORO CITY, Philippines – From July 26-27, the Transportation Science Society of the Philippines (TSSP) held its 25th Annual National Conference at the Southeast Asia Rural Social Leadership Institute (SEARSOLIN), Xavier University, Cagayan de Oro. 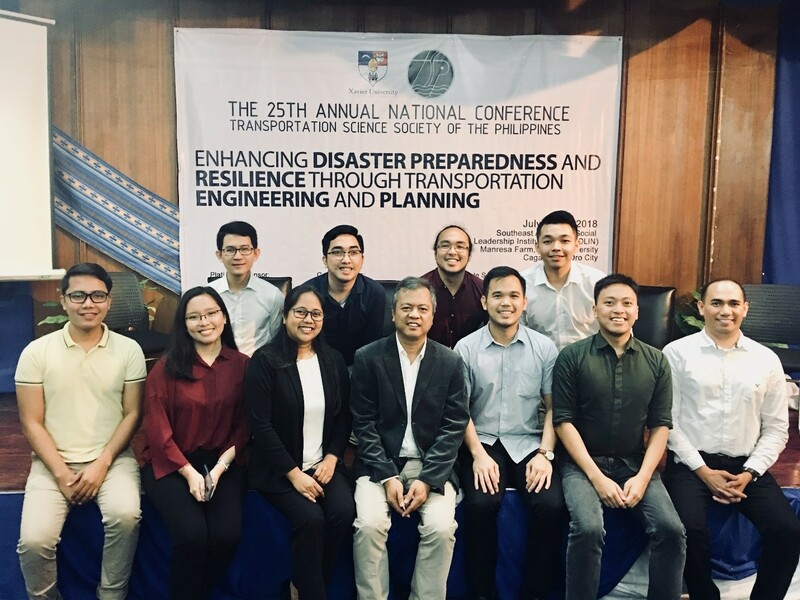 The event is a gathering of local experts in the field of transportation engineering and planning as well as faculty and students from various academic institutions in the Philippines. For the first time, a pre-Conference event engaged early career researchers and students in the field of transportation. The Young Researchers Forum invited professionals in transportation to give talks about the importance of research and the process of getting published. The afternoon session of the forum focused on career opportunities and challenges in the transport field. Esteemed guests for the career opportunities panel discussion included Dr. Cresencio Montalbo, Avalyn A. Cahulogan, and LTFRB Chairman Martin Delgra III. Outgoing president of the TSSP, Dr. Alexis M. Fillone, closed the proceedings with some final remarks and reminders for the upcoming EASTS conference in Sri Lanka.